The poshification (that’s clearly not a word) of pub grub, street food and greasy fried snacks has been the gift that just keeps on giving. In London, we’ve seen Bubbledogs not so brilliantly pair hot dogs with champagne and Dirty Bones create some alternative ‘artisanal’ hot dogs. 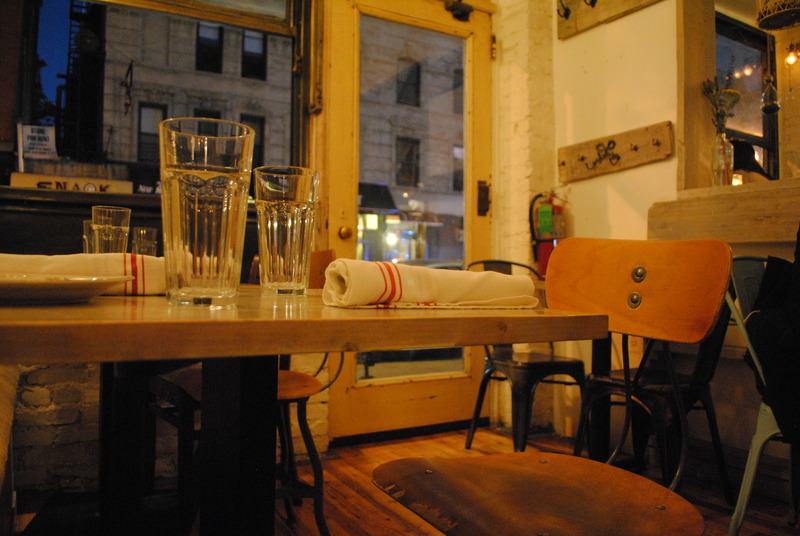 This poshed-up junk food trend is not limited to our dear friends on the other side of the pond — New York has seen Birds & Bubbles, a self-proclaimed ‘elevated’ southern restaurant featuring fried chicken and champagne, and Root & Bone, another much-hyped fried chicken establishment, though it plays it cool with its casual grunge decor. 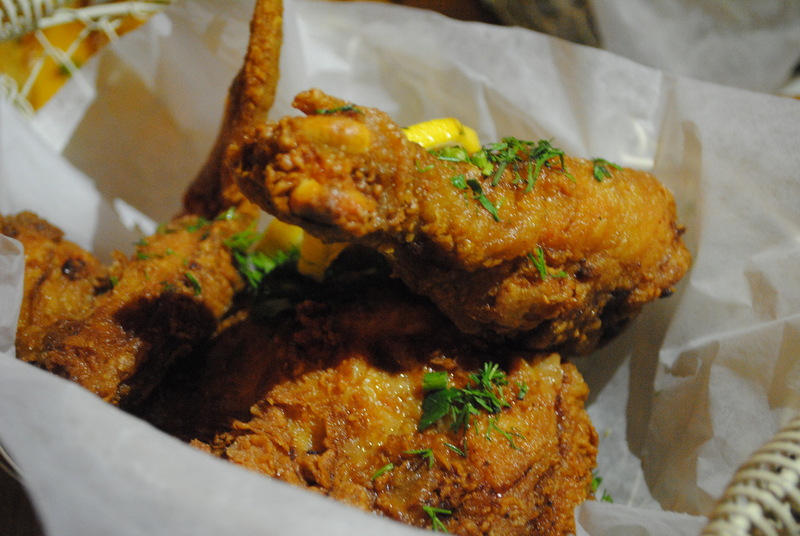 Alright so as you’ve probably already gathered, Root & Bone’s signature is the fried chicken. So astute. 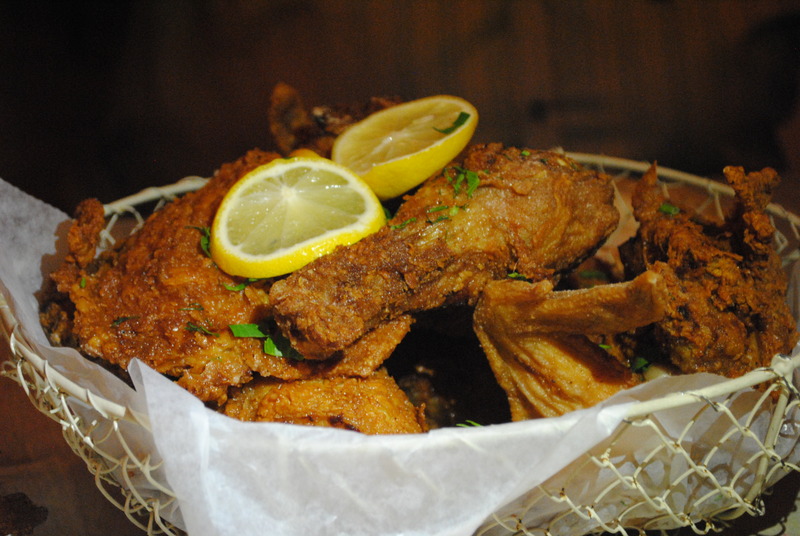 This fried chicken has caused lots of hype in the media and in the mouths of New Yorkers and tourist gastronomes alike. So how is this infamous fried chicken made? Chefs Jeff McInnis and Janine Booth take a Pennsylvania Amish bird and brine it in sweet tea, onions, and garlic for 24 hours. Then they dredge it in flour, deep fry it, and sprinkle it with dehydrated lemon powder. This “citrus dust,” we’ll call it, makes the chicken a bit tangy and almost a bit lime-y. There’s another real word for ya. While the chicken is definitely juicy, the crunch is inconsistent — some pieces were extra crunchy and some were soggy. Hmm. There’s two sauces for dipping — maple syrup and the Tabasco-spiked honey, which, I have to say, is absolutely divine. The chicken comes as a half bird ($18) or a whole bird ($35) which makes it quite reasonably priced. Add a side of buckwheat waffles with cheddar and whiskey maple syrup and you’ve got yourself a good deal ($25, $42 respectively). Now these buckwheat waffles are FLUFFY and cloaked in cheddar cheese — they are truly phenomenal. 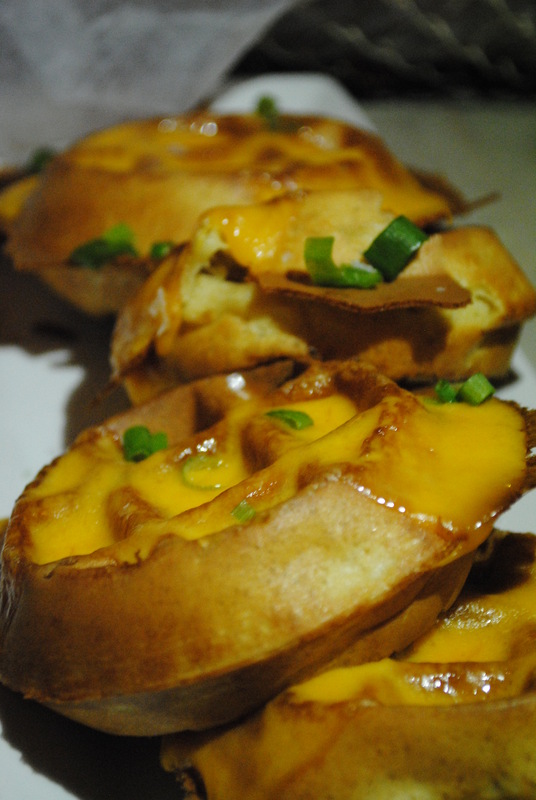 Again, there was a strange consistency issue in that some waffles in the batch were a bit salty and others weren’t. Consistency people. 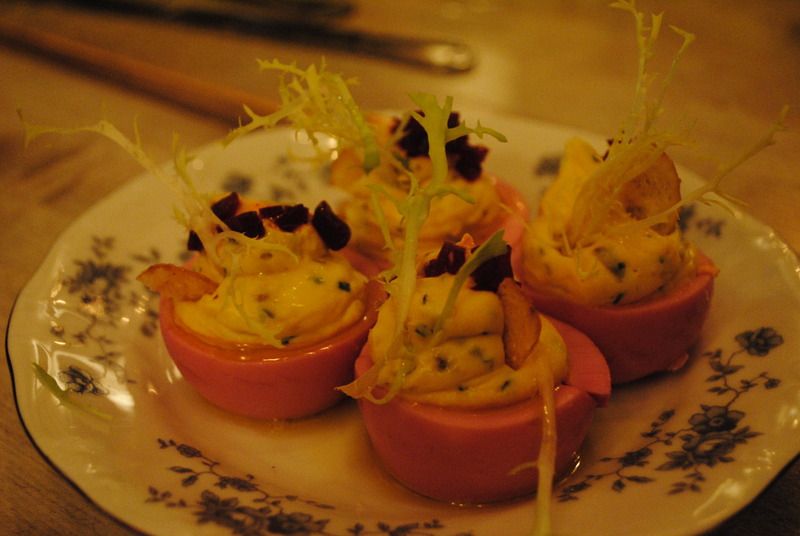 Other dishes on the menu include ‘drunken deviled eggs’ ($6) served with pickled roots and bit of crisps (chips, whatever you want to call them) sprinkled on top. What makes these eggs (described as ‘handsome eggs’ on the menu by the way) drunk perse, I’m not exactly sure — perhaps it is the completely random scattering of crap on top of them or the fact that their shells are a pinkish-brown. Your guess is as good as mine. 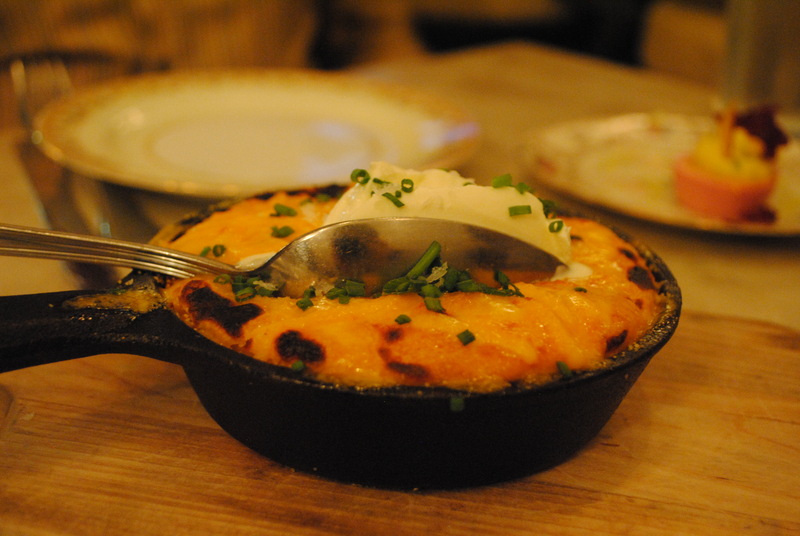 Gooey corn spoonbread ($8) is loaded with buttermilk whip, cayenne and cheddar cheese. Not for the faint of heart. Also, the bill comes inside a little bone which, is pretty cute. 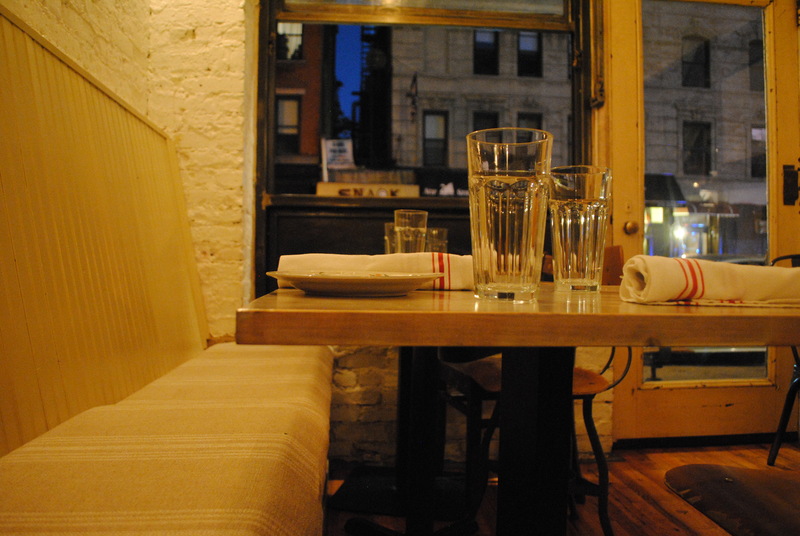 And, like all true New York restaurants, Root & Bone will begin their delivery service soon. Stay tuned. I don’t know if I’d say Root & Bone serves the ‘best new’ fried chicken in Manhattan — I’d say it’s more like the most talked about fried chicken, but probably only for the moment. 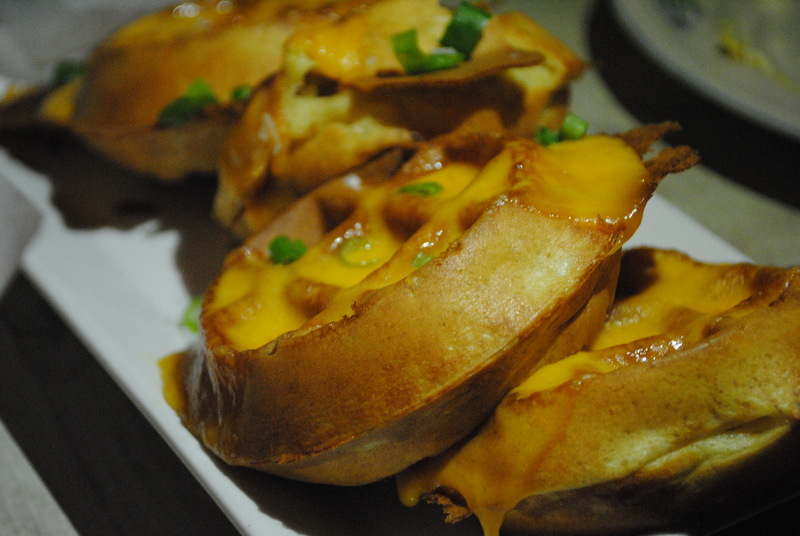 Posted in Restaurant Reviews - New YorkTagged basket, bird, brine, bucket, citrus, deviled eggs, food trends, Fried chicken, New York, poshed up junk food, Restaurant Reviews - New York, Root & Bone, sweet tea, trends, trendyBookmark the permalink.